All parents want the best for their kids. When traveling with an infant or kid in a car, safety should always be every parent’s utmost priority. This means that using car seats can help assure and guarantee safety. Car seats make sure the child is safely harnessed in cases of car crashes, which is one of the top killers of both adults and children in the United States. Statistics say that road accidents kill many people. In fact, according to the National High Traffic Safety Administration, 37,461 people had died due to vehicular accidents in 2016 alone. Of the 1,132 children who died in road crashes, about 181 were killed due to alcohol-related vehicular accidents in 2015. Car seats play a pivotal role in reducing the deaths associated with car accidents. Subsequently, about 328 children under 5 years old were saved by using car seats. Using the best convertible car seats is important, whether these are infant car seats or convertible car seats. Infant car seats are designed specifically for infants and they’re used in the rear-facing position only. On the other hand, convertible car seats are those which can be used in the rear-facing position and then in the front-facing position when the child has grown. There are tons of convertible car seats in the market today, here’s a rundown of the best brands and how to choose the one that fits your budget and needs. 3. How To Install A Convertible Car Seat Properly? There are many brands and models of convertible car seats in the market today, and it’s important for you to choose the one that your child needs. But, before discussing the best models, it’s important to know a little about this type of car seats. In choosing the perfect convertible car seat for your little one, it’s imperative to consider certain factors – such as its price, age requirement, safety features, and type of build material used, to name a few. Here are factors to look for in a convertible car seat, how to install it, and how to pick the safest one for your child. A convertible car seat is the best choice if you want the car seat to grow with your child. This means it’s something you’ll buy that will surely last a long time. When your child reaches an age where he can sit upright, he can already use a convertible car seat. However, some car seats are also intended for newborns up to toddlers, so choosing the brand that caters to your needs is crucial. It’s also essential to read the car’s safety manual properly and carefully before purchasing a baby convertible car seat. Some convertible car seats aren’t designed for all types of cars. There are car seats for small cars and big ones. If you buy a convertible car seat and it won’t fit your car, you just wasted a hefty amount of money. Remember, choose wisely before any purchase to avoid returns and refunds. The number one rule in buying a convertible car seat is to make sure your child’s weight, age, and height are compatible with it. For instance, some models are intended for a certain age of children depending on their usage guidelines and specifications. The American Academy of Pediatrics recommends that newborns and infants, who are 2 years old and below should be placed in rear-facing seats. Another guideline used today is that height is a more reliable indicator. When the child’s height surpasses the seat top of the car seat, he should use a bigger car seat or a front-facing car seat. Once your baby has outgrown his infant car seat, you can now transition them into a rear-facing convertible seat, which can accommodate bigger babies or toddlers. One disadvantage is, a convertible car seat isn’t portable, and they are usually installed directly into the car. The installation of a convertible car seat properly and correctly can reduce the risk of serious injuries during a car accident. The safety of the child can be at risk of the car seat is not appropriately installed. Before installing the car seat, make sure that you are aware of the vehicle parts. This way, you can properly install the car seat without errors. First and foremost, read the instruction manual of the convertible car seat. Also, don’t forget to scan your car’s user manual to determine parts needed for installation. Pay close attention to the information about the car’s seat belt system and how to lock it. Put it in the back seat of the vehicle in a rear-facing position and attach it in place with the seat belt. Make sure the seat belt has no twists and it’s holding the car seat in place. Lock the seat belt and test if the car seat does not move in place. Furthermore, make sure the car seat is positioned at the ideal and recommended recline angle to keep the baby’s airway open. Though rear-facing car seats are safer than forward-facing convertible car seats, it’s important to know how to properly install it. If you want a forward-facing convertible car seat, install according to the user manual. Always make sure that the harness system is secure and restrained. This way, you are sure that the car seat is installed correctly. Make sure by pinching the belt. If there are webbings, then it’s too loose. If the fingers slip off, it’s properly tightened. Six shoulder strap positions to make sure it properly fits and there’s a removable body pillow to make kids comfortable. Graco is one of the best manufacturers of baby gear all over the world. 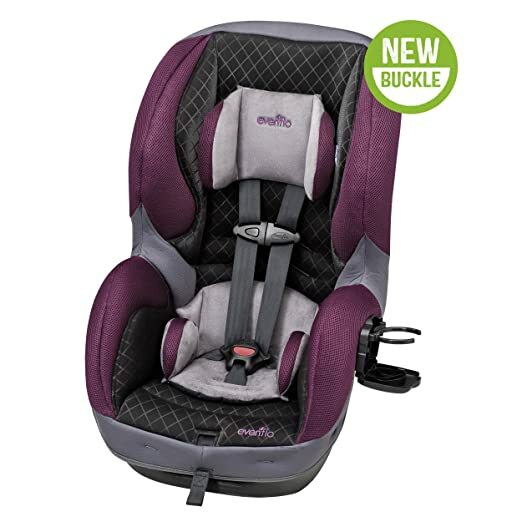 For one, Graco 4Ever 4-in-1 convertible car seat is one of the most popular models for a convertible car seat for its efficiency, functionality, quality, and price. For practical parents, buying a convertible car seat is the best decision. For instance, the Graco 4Ever 4-in-1 car seat gives you 10 years of use because it can cater to babies from four pounds, up to kids weighing 120 pounds. For a forward-facing toddler, it can accommodate from 20 to 65 pounds while in its rear-facing position, it can accommodate children weighing 4 to 40 pounds. What’s good about this product is that is has a Simply Safe Adjust Harness System that allows you to adjust its height in just one movement. It makes sure the child is properly secured and harnessed to the car seat. It also grows with the child since it has a 10-position headrest that makes it fir properly for safety. It’s also intended for newborns, with plush inserts to keep them comfortable even on long rides. There are spaces allotted for drinks and bottles, too. Priced at $250 to $300, this is a good buy due to the largest weight range available. It has modern latch connectors and easy adjustments. Though it’s a good buy, there are a few cons like being too big and heavy. For customer reviews, this product received a whopping 4.7 stars out of 5 on Amazon. Priced at just $210, the Evenflo Advanced Titan 65 Convertible Car Seat is one of the most affordable convertible car seats in the market. But, despite the low price, it can compensate in terms of functionality and quality. The most expensive brand or model doesn’t necessarily equate to the safest. In fact, every car seat needs to pass through rigorous testing. Plus, car seats need to exceed safety standards imposed by the government. If you’re looking for an affordable convertible car seat with the best features, you’ve come to the right place. The Evenflo Advanced Titan 65 convertible car seat accommodates children until 40 pounds and if forward-facing, until 65 pounds. The plus point of this product is that it has six shoulder strap positions to make sure it properly fits and there’s a removable body pillow to make kids comfortable. For added safety, the car seat has an energy-absorbing foam liner, ensuring the baby is safe even during a crash. Of course, having a baby during a long trip can be exhausting for him and you as a parent. But with the plush head and body pillows, your baby will feel comfortable even during long trips. The Britax Advocate ClickTight Anti-Rebound Bar Convertible Car Seat is one of the priciest ones in the market, but it does come in a high-quality state. 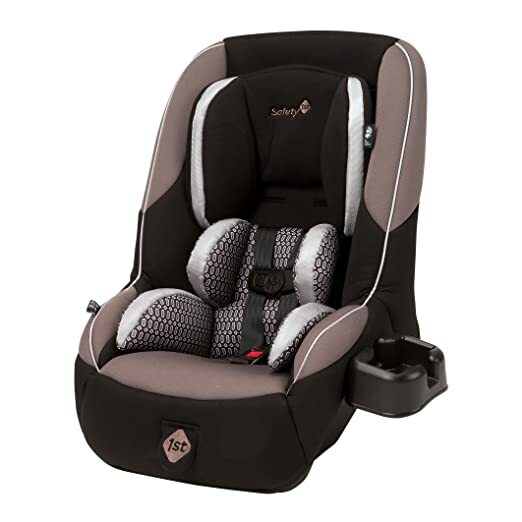 In fact, it’s one of the best convertible car seats due to its easy installation, a patented ClickTight system, three layers of side impact protection, an anti-rebound bar, and a 14-point harness system, plus an impact absorbing base. So, when it comes to safety for your little one and build quality, this is a must-have. Priced at $329, the Britax Advocate convertible car seat received a rating of 4.1 out of 5 stars. What’s special about this product is that it has an anti-rebound bar that can reduce forces linked to vehicular crashes by steadying the car seat, especially when rear-facing. When rear-facing, the car seat can accommodate up to 40 pounds of weight, but the overall weight can range between 5 to 65 pounds. It has a triple side impact protection, and it’s comfortable, easy-to-use, and even approved for air travel. Overall, the Britax Advocate is one of the best car seats on the market, and if you can afford it and fit in your car, try buying one! For families with small cars, it’s still important to have a comfortable car seat that can fit the car easily. One of the best convertible car seats for small cars, the Safety 1st Guide 65 received a customer rating of 4.1 out of 5 on Amazon. Though it’s designed for small cars, you can still use it in a bigger car for more space. The good thing about this car seat is it has a latch for easier installment. There are a five-point harness and side-impact protection. Another plus point for the Safety 1st Guide is that it has removable body pillows for added comfort and the convertible car seat is machine washable. 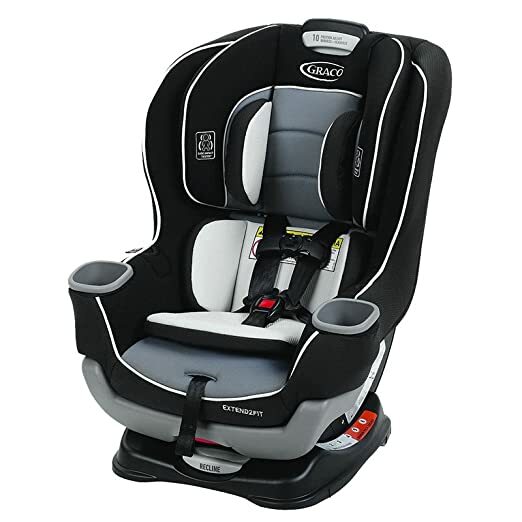 It’s important that car seats have removable linings that are easily cleaned or washed. With its versatility, this convertible car seat can be used from infancy to grade school kids. It provides functionality, efficiency, and durability. When you’re the parent who wants to save on baby gear costs, you should get your baby a travel system. It’s a convertible car seat and a stroller in one. The brand Chicco is one of Europe’s leading baby brands committed to producing quality products. For one, they have a travel system that can help parents by providing convenience, safety, and practicality. 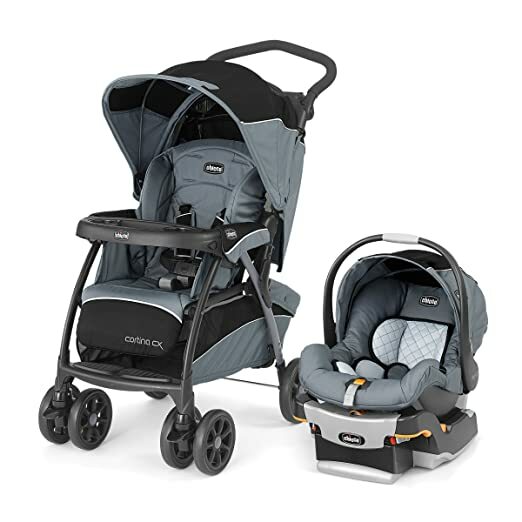 The Chicco Cortina Keyfit 30 CX Travel System is one of their best products in the market, with a convertible car seat and a stroller, which can be installed and used together. The stroller has an adjustable seat, which can be positioned sitting or reclined. Plus, the car seat easily clicks into the Cortina CX stroller. The stroller has eight positions and can be fully reclined. The plus point for this travel system is that it can be positioned for parent comfort and convenience, too. 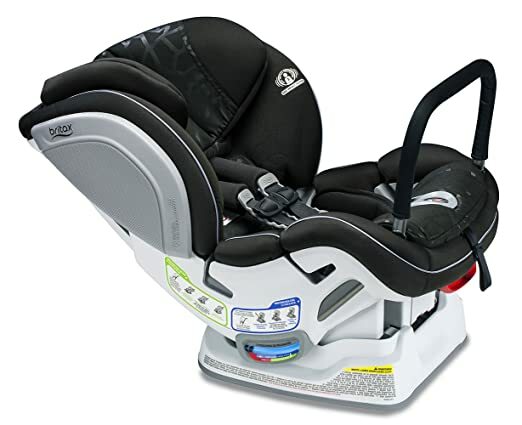 There are three height positions available with an ergonomic push-handle for the parents. Lastly, there is a parent tray with a cup holder. There is also a compartment for necessities close at hand. Priced at $300, this is a sure good buy. It has a customer rating of 4.4 out of 5 stars on Amazon. Graco has done it again. The baby company is one of the top manufacturers of the best convertible car seats on the market. For instance, its Graco Extend2Fit Convertible Car Seat has the best head support for infants, especially those who are still small. Also, it has a feature that parents can use the rear-facing position even if the child has reached past 2 years old. 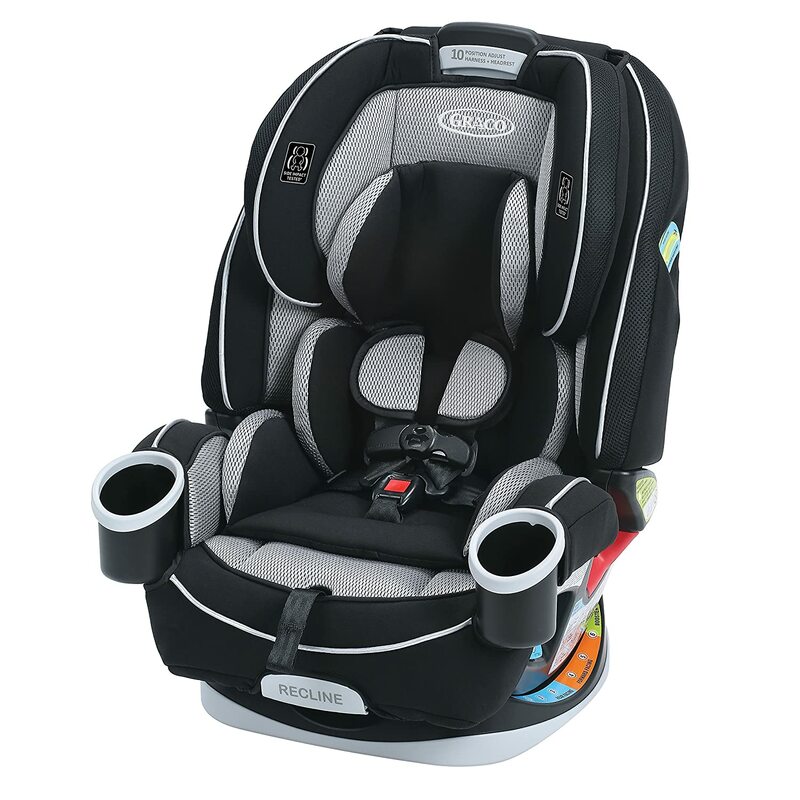 For the Graco line of car seats, this model has the highest weight limit for the rear-facing position of up to 50 pounds. In terms of head support, this model provides one of the best head supports for your growing child. It’s a versatile seat since it allows more leg room and it has a push-on LATCH system that’s really easy to use. It has a 10-point headrest that accommodates your child’s growth and provides additional head support, especially on a moving vehicle. Priced at $200 to $250, this convertible car seat is rated a 4.6 out of 5 stars on Amazon. It’s a sure must-buy for your little one. Graco 4Ever 4-in-1 convertible car seat is the best pick from this batch of the best convertible car seats. It provides efficiency, good build quality, and functionality. It’s ideal for practical parents because it can grow with the baby, even if your child reaches 10 years old. It’s the best one since you don’t need to buy a car seat every now and then. It provides safety and security, helping you have peace of mind even during long trips. The convertible car seats have their own features and characteristics that are ideal for practical parents. It’s important to make sure you buy what’s best suited for your car and child.